Keep your wedding crowns protected with this beautiful Greek stefanothiki. 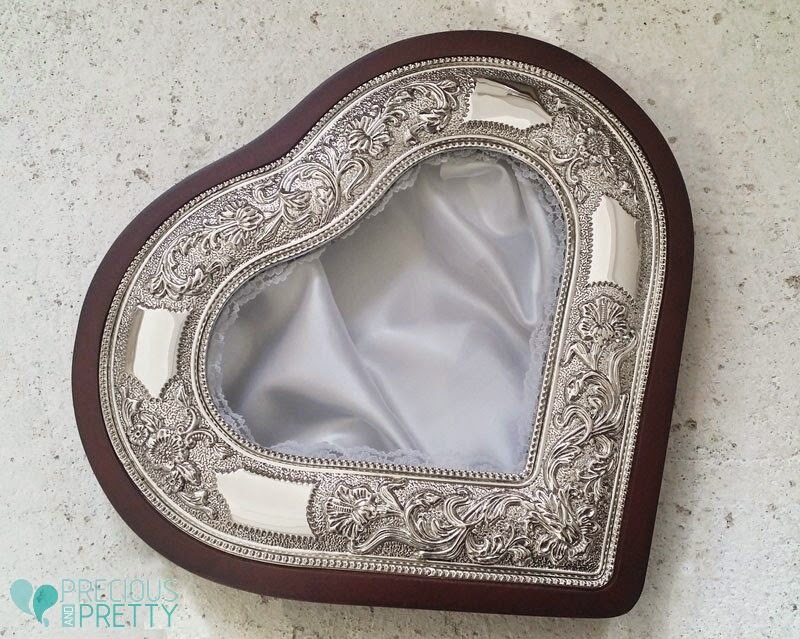 Heart shaped wooden box and engraved silver plated covering on the lid. Ιnner lining is made with white satin fabric and white lace had been placed around the glass of the lid. Price 60 euros VAT included - Shipping cost not included. https://www.preciousandpretty.com/2015/02/greek-stefanothiki-st100.html Greek Wedding Favors|Orthodox Crowns|Stefana|Baptism Invitations Greek stefanothiki ST100 Greek stefanothiki boxes for wedding crowns stefana Product #: Greek Wedding Favors|Orthodox Crowns|Stefana|Baptism Invitations_3905791238201721257 5 stars out of 5 reviews.